Something that divides some people is whether to buy a gun with (or have installed) a set of 2 dot sights or 3 dot sights. Each has strong points, but also some weaknesses, so opinion is divided among handgunners as to which is better. Both are very common factory sights, and both are very common aftermarket sights. Each can be had as either fixed or adjustable, and standard or night sights, so both are very common. Therefore, it behooves a person to be aware of the pros and cons of each. What is a 2 Dot Sight? A lot of handguns come right out of the box with 2 dot sights. Often, the front sight is round in shape, while the rear sight has a rectangular shaped base, the middle of which has a "U" shaped cradle cut into it. Some models have a white line or dot centered under the cradle. 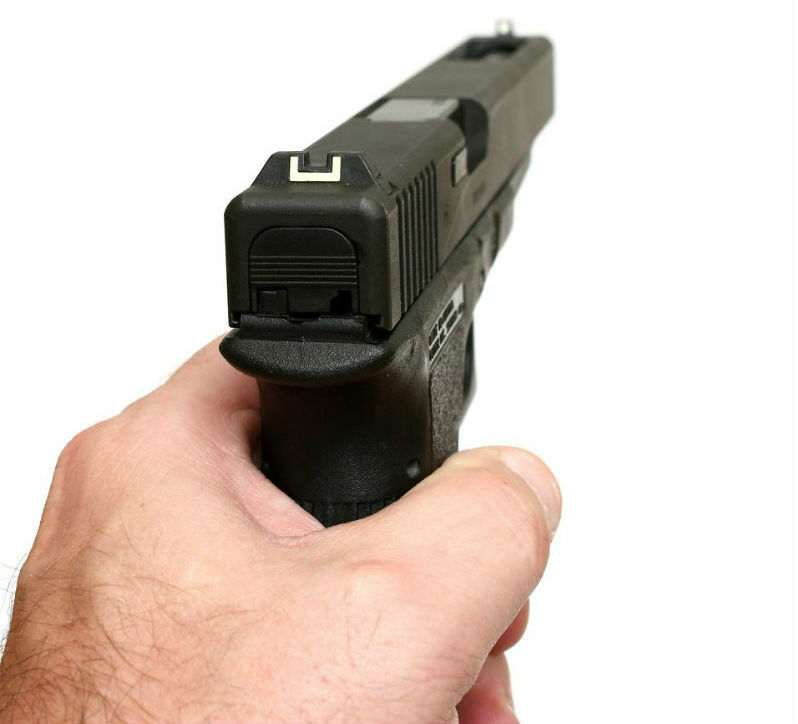 Others, like the Glock 36 have a "U" cradle rear sight with a white "U" painted in outline around the cradle opening. A lot of shooters find that two dot sights are easy to align. All that is required is to center the front white dot in the center of the rear "U" cradle and one will have fast and accurate acquisition of the target. 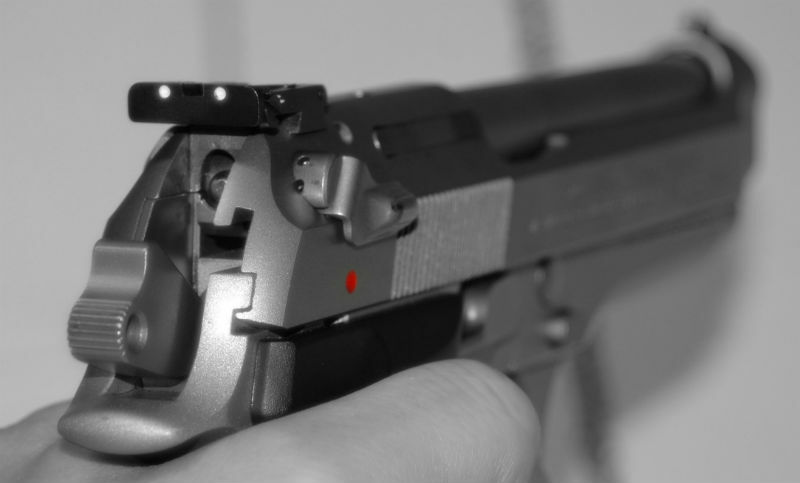 Many shooters that utilize the "flash sight picture" technique, which heavily focuses on the front sight prefer two-dot handgun sights, as the front sight is usually thrust into sharp relief. What is a 3 Dot Sight? A growing number of handgun models come from the factory with a 3 dot sight configuration. Normally, 2 dots are painted on the rear sight and one dot is painted on the front sight. Some companies like to paint the white dot on the front sight a little larger than the two dots on the rear sight. 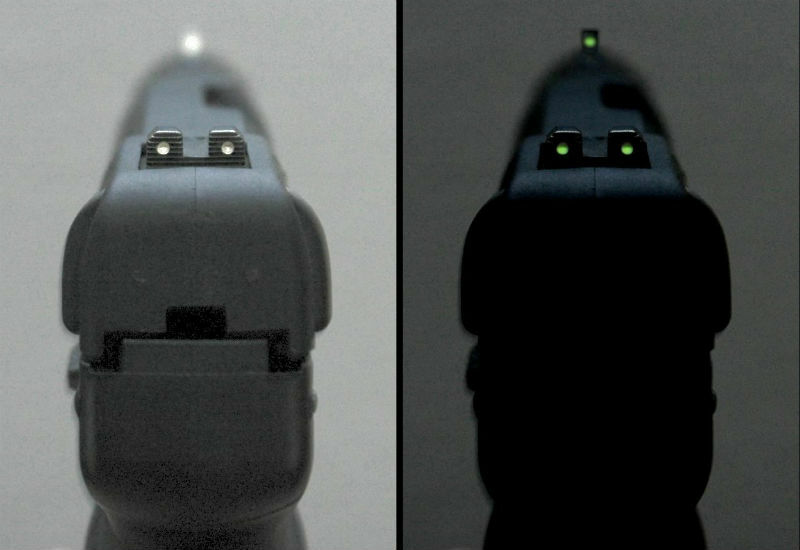 A few manufacturers now put fiber optic or tritium insert 3 dot sights on their guns. These type of sights are geared toward shooting in low light situations and can be quite expensive. There is some controversy about the effectiveness of the 3 dot sight system. A lot of people prefer them, but many shooters find the 3 dot sights provide the shooter with too much visual input. This can slow down the target acquisition process, which can have dire consequences in a serious defensive situation. The thought is that the 3 dot system causes the shooters eye to focus primarily on the rear sight, instead of the front sight and target. However, where three-dot sights excel is with target or long(er) range shooting, as the classic sight alignment with aimed fire (line up the top of the front sight with the rear sight) is very easily facilitated. For the iron sight handgun hunter, a good set of adjustable three-dot sights is the set to have. So Which Is Better, The 2 Dot or 3 Dot Sight? 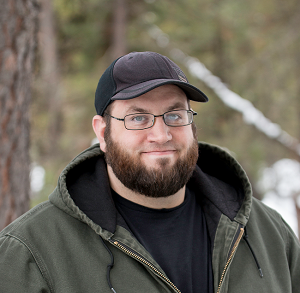 The decision to carry a two or three dot system on a handgun is pretty much a personal preference. The only way to know which configuration works best for you is to go out on the range and practice with handguns that have both a 2 dot and a 3 dot sighting setup. Whether your pistol carries a 2 dot or 3 dot sight configuration doesn't really matter if you have problems effectively hitting what you aim at. The only way to improve is to spend a lot of time practicing with the one that works best for you. Some shooters find an aftermarket set of sights of either type that they can shoot very well with. 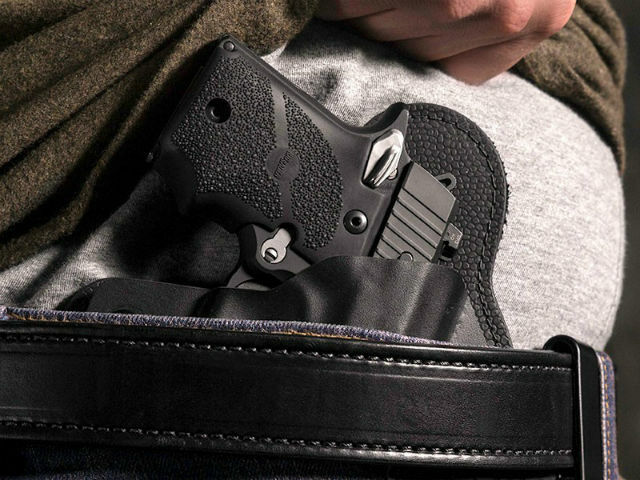 They purchase and install those sights on any handgun they purchase, whether it's going to live in the safe or it will be carried with a gun belt and holster. Ultimately, the best sights are the sights that you shoot best with. If you're accurate and fast with a set of 2 dot sights, then carry 2 dot sights. If you're fast and accurate with 3-dot, then use 3 dot. If you're fast and accurate with a trench sight and fixed front blade or fixed iron sights...carry those.